Today H.L. 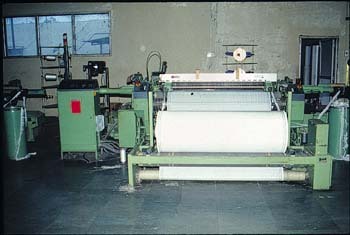 Textiles is the only company manufacturing Filter Fabric in India on the most modern Rigid Rapier "DORNIER" weaving machines and has the significant presence in the Indian Filter Fabric market. H.L. Textiles is manufacturing fabrics in high tenacity Polypropylene, Polyester, Polyamide (Nylon 6, Nylon 6.6), in Spun, Multifilament as well as MONOFILAMENT yarn, Cotton and other man-made Fibers. Our fabrics are compatible with wide range of operation conditions found in filtration processes. Our fabrics are used on Filter Presses, Centrifuge Machines, Drum Filters, Neutche Filters and a multitude other equipment and devices in India & Abroad. Our product range includes fabrics constructed with variety of weaves such as Plain, Twill, Satin, Chain, Matte, Oxford and many others with width up to 2.15 meters and continuous length up to 2000 meters. H.L. 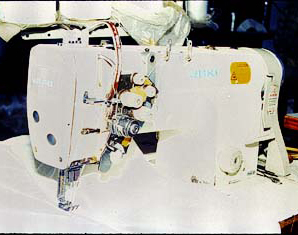 Textiles is continuing tradition to provide uncompromised quality fabrics with higher strength and minimum elongation, we relentlessly conduct a series of quality checks like GPD of yarn, twist checker for ply & cable yarn, GSM of fabric, breaking & busting strength of fabric and air permeability of fabric on our ultra modern in-house laboratory. Beside this our raw materials are sourced from the world-class manufacturers in India & Abroad. The company offer the unique package of services with readymade ready to use Butterfly for Recess & Membrance filter presses, Filter press panels, Filter bags for Centrifuges, neutches, Dust collection, RVD, Disc Filters, Leaf Filters, Sparklers and stitched bags as per customer requirement. 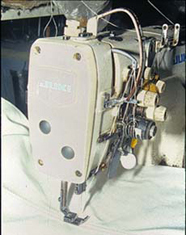 Our stitching unit not only provide readymade service but also offers benefits of their Best quality Stitching on their most sophisticated Japanese stitching Machines (Multi-Needle) with our special sewing Threads. We also offer a unique service for Recess & Membrance filter plates ready Butterfly with ZERO FILTRATION BARREL manufactured from special rubber, stitched in - between the barrel in sandwich form to stop cake build up in flow/feed holes and to provide trouble free uninterrupted flow from the first to last plate. H.L. Textiles experienced and specialist team can assist you in selection of the right fabric, weave and seam to reach you objective such as increased Cake Dryness, Cake Release, Capture rate or Longer fabric life and can also develop fabric for your specific filtration requirements. The company today offers complete solutions for your filtration needs.